Buenas dias, my friends – Diego, the chile cowboy at the Dixie Chile Ranch and the Union Grove Produce Company, here. It’s been very wet at the Dixie Chile Ranch, making it very difficult to get the fruit and vegetable plants in the ground and growing for our summer season. And the up-and-down temperatures, 80 degrees one day and 55 the next, have added to the dilemma of when to plant the seedlings. However, the good news is, we have the greenhouse where it is nice and warm and the plants are all growing and getting bigger and stronger every day. So we just need a week of dry, warm weather to get them into the ground. We have planted a few crops! The sweet corn is in the ground; so are carrots and red potatoes. We’ve added 18 Triple Crown blackberry bushes to the farm this year, and now have a total of 25 blueberry bushes. This coming week we’ll be planting the Roma and Blue Lake green beans. 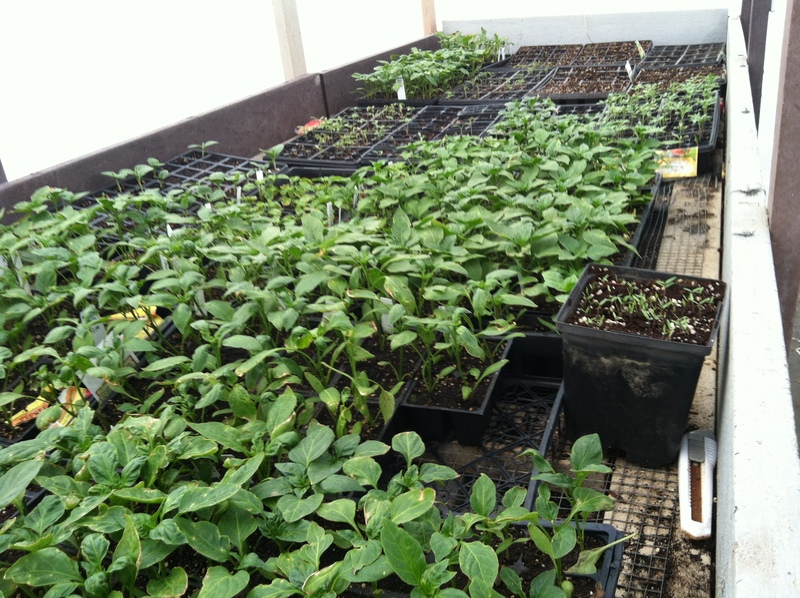 As you can see, we have a large number of chile, bell pepper, cucumber, broccoli, squash, and tomato plants in our greenhouse just looking for the warm days ahead. Our local strawberry farmer is fertilizing and watering in anticipation of an early May harvest this year. (Hope the late frost doesn’t damage the crop.) 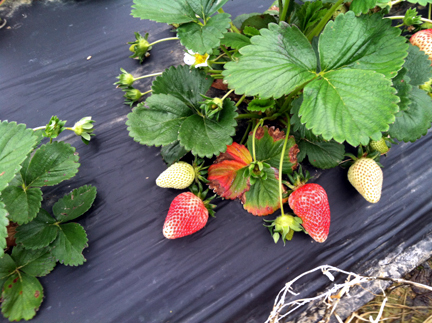 Keep watching here for the first sell date for strawberries for the 2013 growing season. And if you haven’t already done so, be sure and register at http://www.uniongroveproduce.com for the ‘You Click – We Pick’ program! Well, I need to amble over and check the greenhouse plants.